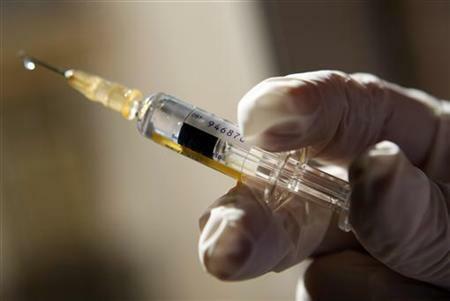 GENEVA - Vaccinations against flu for the 2010 influenza season in the southern hemisphere should also contain viruses against the current pandemic H1N1 virus, the World Health Organization said Wednesday. The WHO is currently coordinating the production of vaccines against pandemic H1N1, known as swine flu, for this year's influenza season in the northern hemisphere, which will start in November as the northern winter approaches. But in early guidance to health authorities and vaccine makers, it said vaccines should contain the pandemic H1N1 virus plus two seasonal flu strains likely to circulate next year. The WHO declared that swine flu was a global pandemic in June after it was detected in April. "Outbreaks subsequently occurred in all regions of the world and by July pandemic A (H1N1) was the predominant influenza virus circulating in many countries in the Americas, Asia, Europe and Oceania," it said in a note on its website. It said it was too soon to say whether vaccines next year should comprise a single shot with all three viruses or whether there should be separate shots for pandemic and seasonal flu. It said it would give guidance on this issue after its Strategic Advisory Group of Experts, which makes recommendations on immunization, considers the question in late October. The pandemic H1N1 virus is becoming much more common than seasonal H1N1 strains that have also been circulating, it said. The WHO has said the swine flu pandemic could affect one third of the world's nearly seven billion people. It is so infectious that most countries have stopped gathering statistics on how many people have caught it, but in the vast majority of cases so far the symptoms have been mild.